What Does the Future Hold for Energy-Related Blockchain Applications? Although mankind's energy consumption is intricately tied to the technological development that has allowed us to succeed as a species, it is also radically changing the world as we know it and could ironically become the cause of our demise. The way we use and obtain the energy we consume is the single most significant cause (the second is food production) behind the global warming trends that we have seen in the modern age. The global energy sector is behind the emission of two-thirds of our total greenhouse gas production, and scientists have recently issued stark warnings that if we do not keep temperature increases under 1.5°C above pre-industrial levels, we will experience "rapid, far-reaching and unprecedented changes in all aspects of society". These changes represent more than just having warmer days. The equilibrium of the natural systems on which we depend to grow food, to have clean water and air are in grave danger but, despite these grim realities, our energy systems have not been keeping up with the times. Energy production and distribution are still on the hands of centralized and fossil fuel-dependent entities who push the power onto the grid and bill us for it. Although this system has worked so far, it seems that the era of massive power plants is destined to come to an end. During the last decades, countries and people around the world have been increasingly turning to cleaner technologies like solar or wind power, and electric vehicles. The increase of electrical consumption related to our technological advancement is now starting to put major strains in our current infrastructure, while utility companies are struggling to provide reliable service and cope with the rising complexity of society. We need as a society to move our energy systems away from their current centralized structures, and get involved in the decision making that could literally save our lives in the near future. Thanks to its capability to enable peer-to-peer, secure and auditable transactions, blockchain technology is particularly well-suited to play an important role in managing our increasingly complex energy distribution systems, and many companies seem to agree. Investment in digital infrastructure for the power sector as a whole has been increasing over 20% on average over the last 5 years, reaching a total of $47 billion in 2017. It is estimated that there are around 122 startups operating energy sector-related blockchain applications, which raised over $324 million during 2017 alone. However, despite the enormous injection of funds into these efforts, their potential has still not been fully realized. In one of the most recent efforts to ascertain the current state of energy-related blockchain applications, The Council of Foreign Relations interviewed representatives from numerous nonprofits, established firms and startups in the energy sector, and classified their activities into several major categories. Let's look at the numbers. These applications, rely on the most obvious aspects of blockchain technology which involve leveraging the native capability of blockchain to handle energy-related transactions and focus on reinterpreting, redesigning or incrementally improving current power system structures. P2P Transactions: Around 36% of companies invested in the energy sector aim to disrupt it by using blockchain to allow third parties to sell electricity generated by solar or wind energy. 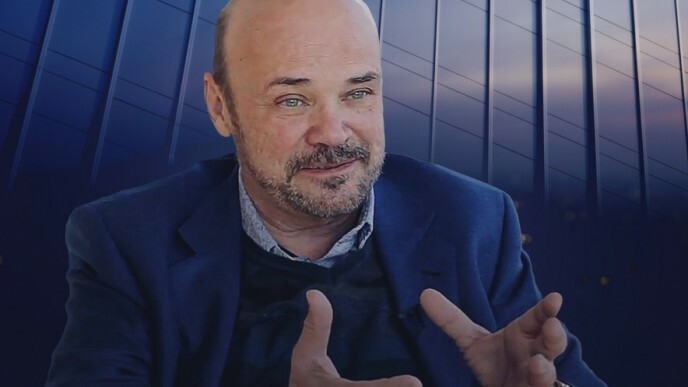 It is expected that these will become some of the least successful applications because the goal of these companies is to "upend" current energy systems instead of leveraging their inherent complexity in novel ways. Grid Transactions: 23% of companies plan to use blockchain tech to enable transactions on top of the existing power grid. These companies efforts are focused on using blockchain as a tool to achieve cheaper and faster transaction validations; in operating "virtual power plants" by organizing distributed energy resources in concert, and other applications. According to the CFR, since these business models leverage existing energy grids but substantially change their form and/or function, they will probably prove to be more meaningful in the future of the sector. Also, these companies are expected to have a better chance at gaining commercial traction, since they would have less resistance from incumbent utilities and regulators. Twelve percent of companies studied have proposed cryptocurrency-based initiatives aimed at raising funds for clean energy projects, which may provide a chance to access a broader investor pool. 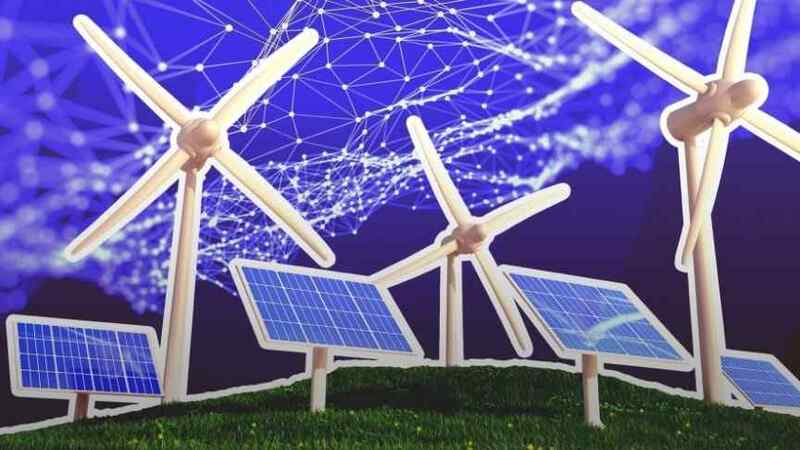 According to the CFR, it is not clear if blockchain is even necessary in order to achieve growth in the renewable energy sector. Blockchain is the perfect tool to record and trade sustainability attributes such as how many emissions resulted from the production of a given energy unit, or if it was produced in a clean way. These capabilities would allow for greater efficiency and a reduction in frauds and errors, while simultaneously achieving greater exposure for regional carbon offset and renewable energy credits. The 11% of companies involved in these types of applications can help governments and other institutions to better regulate carbon emissions, and promote the deployment of clean energy projects. Around 11% of companies are working with applications catered to Electric Vehicles (EVs) and their use. Blockchain networks can help overcome several of the most important barriers to customer adoption of EVs by enabling private parties to sell publicly unavailable charging services which could in turn increase EV adoption. Further, smart contracts could help the grid decide when to charge or discharge specific EVs, allowing it to use EVs as mobile batteries that could help stabilize the grid. The remaining 6% of surveyed companies are working in several areas of the sector. Some are looking to enhance the cybersecurity of existing energy systems by using blockchain. Others want to improve their grid asset's management. Regulatory bodies want to pave the way for smoother energy trading between customers and their chosen energy providers. Finally, some applications focus on managing IoT-capable appliances in order to help lessen the load on the energy grid during high demand periods. In order to have a clearer view of the future of blockchain applications for the energy sector, one needs to separate hype from reality. On one hand, the future looks bright. Almost all of the technology's problems related to scalability, transaction speeds, and carbon footprints are now solved or on the way to being solved. Also, investment in the sector is on the rise, which is likely to move things along. All of the hysteria about cryptocurrency energy use is going to go away in the next few months. The bubble will pop for stale assets like bitcoin, places like China will clamp down on wasting electricity on competitive mining and everybody else will move to variants of proof-of-stake or perhaps IOTA which seems to dodge the bullet in a different way. The Ethereum network, although currently using Proof of Work, is about to implement the Casper Proof of Stake consensus system which will drastically reduce mining competition and its associated energy consumption. Other platforms like NEO and Hyperledger are also working towards even lower carbon footprints: NEO achieves consensus by using an improved implementation of PoS known as delegated Byzantine Fault Tolerance (dBFT), which allows higher transaction volumes consuming a lot less energy, while Hyperledger has devised a centralized mechanism for block creation that still allows for independent transaction validations. On the other hand, it is very unlikely that we will experience decentralized peer-to-peer energy systems in the foreseeable future. We are more likely to see success from applications that seek to partner with existing solutions, rather than from the ones who radically aim to change the status quo. Further, since talent in the blockchain space is currently scarce, we may still be far from using market-ready blockchain-based solutions catered to our needs. Policymakers will also have a huge part to play in deciding how much of blockchain's potential to solve our energy-related problems will be realized. Since lobbyists will work towards the interests of already established capital and politicians are infamously slow in adopting regulations to societies' ever-changing needs, everyone involved in policymaking should invest themselves in getting to know and protect blockchain and its applications as the most important first steps towards seeing it flourish.